This is main window of Mobile Media Master. 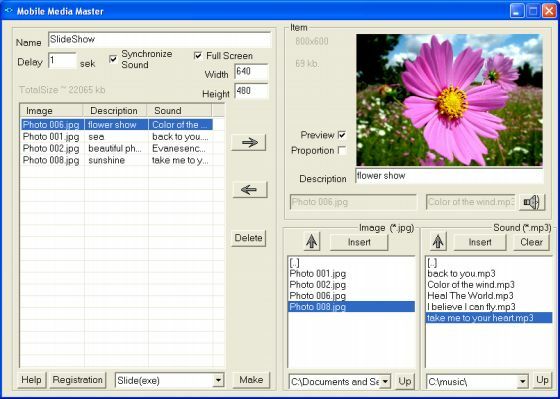 This software allows you to preview slideshow that you created. 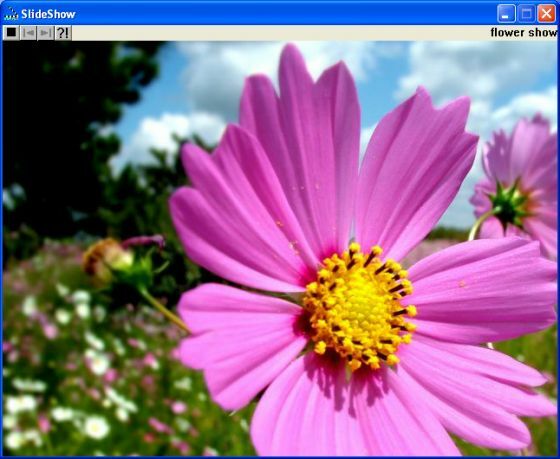 This window supports you controlling window size, background and many others of your slideshow.